ARS Technia has a very informative article on unifi pro gear in a home environment. Very good, but long read. 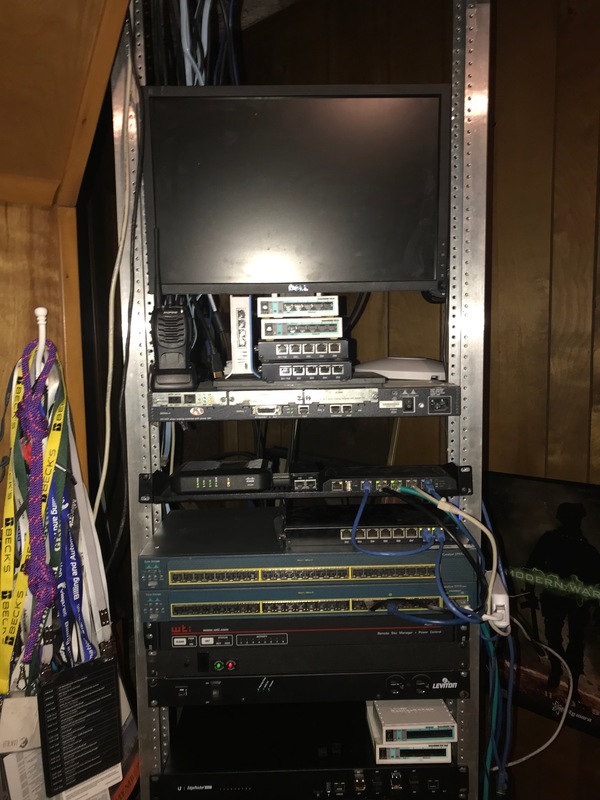 A few days ago, my buddy, Greg Sowell posted his Mobile Home Lab. 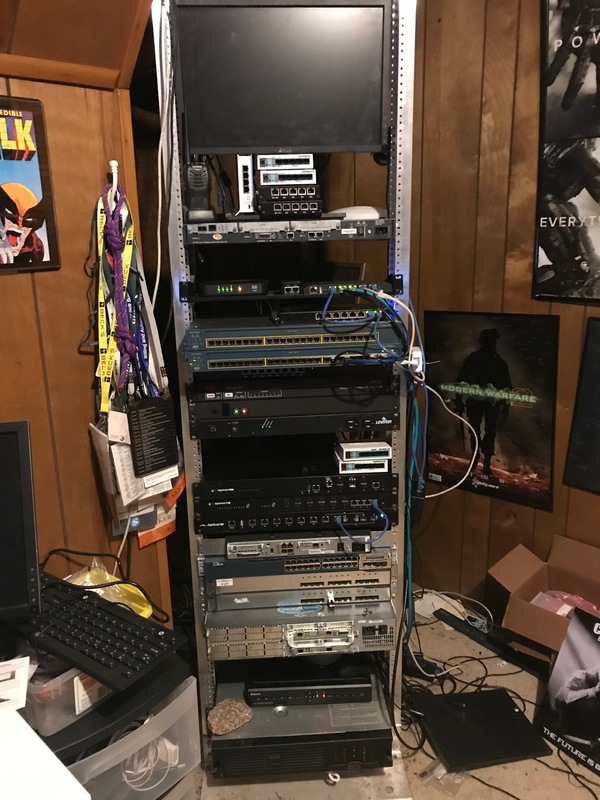 I figured I would show off the rack in my home office. 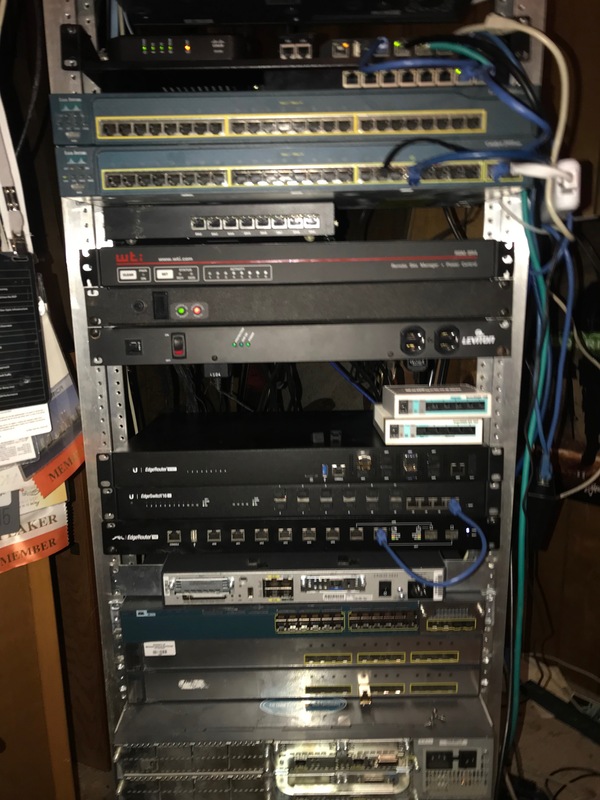 This is a mixture of gear that powers the basic network for the network in my home and for testing, blog posts, support, and videos\. Each floor of our 3 story home currently has a Unifi Access point on it powered by a toughswitch POE. My top level, which is where my office is has a unifi pro that does both 2.4 and 5GHZ. The other levels just do 2.4ghz. This will change once I get a POE switch that does 48volt to power the UNIFI pro. I have stuck with UNIFI because of the bar in our house. Any self-respecting geek needs a guest wifi network. WPA keys are too hard to dish out for those late arriving guests after some rounds of crown and coke. So a Cloudkey makes guest access an easy venture. As stated before the UNIFIs are powered by a Toughswitch, and the PRO has a 48VOLT POE and is linked into a port on the tough switch. This switch is then uplinked into one of the gig links of the active 2950 switch. Various other devices, some not plugged in at the moment due to need to get to a cubby hole for a roof project, are plugged into the 100 meg ports on this 2950. Things such as the DVR for the security system, network printers, ethernet to my desk for testing, network drives, etc. The other gig port is uplinked to our internet router. Our internet is handled by a workhorse Mikrotik 493AH. This has a Comcast cable and a local WISP connection, which is a backup. From this router, I am initiating several VPN, EOIP, and other tunnels to various clients and remote networks. If you notice, this router also has a little rubber duck antenna. Inside is a r52 card that is usually disabled by default. This is a backup network for testing if I suspect an issue on the internal wireless network. I can log in, enable the card, and associate to the SSID and see if things are okay, at least as okay for 802.11b/g speeds. Most everything else is for Cisco certification testing and keeping up on those certs as well as labbing up scenarios. As you guys will hear on our latest podcast, GNS3 and packet tracer are great, but sometimes you can’t beat actual hardware. I too have a console server for turning my devices on and off. I do not have fancy remote access turned on, but I can remote to 6 devices at a time without getting up and moving the 4 feet to move a cable. Welcome to the future! The Cisco 2541 at the top is a shelf for the monitor for the DVR. Make a great shelf! In the future, I hope to add a Juniper router and some more gear. As always, if you are a manufacturer I would be glad to review some of your gear and even do some configuration videos on it. On a side notes, you don’t see much wireless gear. That is a separate spot in my office. One of the first things you notice about the modern UBNT products like this is the nice retail looking package. This could be on the shelf of Best Buy, or on the shelf of any computer shop. The packaging is modern and eye-catching. After unboxing we find a very minimal packaging. All that is contained in the packaging is the airCube itself, quick start guide, and the power cord. One of the first things I noticed as I went to plug this in was the length of the power cord. Too many companies give you a short power cord you are always fighting against. This cord has to be 7-8 feet long. In addition, the power plug is a compact size to fit into most surge protectors with ease. It’s the little design features like this which can really make a product shine. While waiting for it to boot a quick tour around the outside reveals the four gigabit ethernet ports, one of them being the WAN port. The quickstart guide was very helpful, except for the terminology used for the UMOBILE app. On the IOS store, I finally figured out the UNMS app was the correct one to use. This might be confusing for some folks. Maybe newer documentation reflects the change in the naming. I connected the Cube to my home network and fired up the app, the wizard was very helpful in getting me connected to the Cube. The use of the QR code to customize the instructions is a very nice time saver. I was up and connected within 40 seconds. Most of that time was switching over to my settings to connect to the wifi and switching back to the app. A nice feature would be launching the settings app for you. Not sure if such system calls are allowed on iOS but something to consider. On a side note, there is Puerto Rico listed as a country yet again. Not sure why this is a recurring theme with UBNT. Anytime I get a new device like this one of the first things I do is upgrade the firmware to the latest. This was a very easy process. The app even had a little orange information thing directing me to go check it. The addition of the changelog within the app is a very nice touch. The total firmware upgrade took about 2 minutes. I made the mistake of switching out of the app before the upgrade was done. The unit was not reporting the firmware was upgraded, and when I tried to upgrade again it gave me an error. Hitting logout on the app and logging back in refreshed the app and confirmed I was indeed at the latest firmware. It’s getting late, but I wanted to get this out there and get the ball rolling. Look for part 2 coming shortly when I go over the interface in detail. For now, I will leave you with my first impression summary. The airCube has many nice physical features. The long power cable makes the flexibility of installation easy. No longer do you have to set it in an awkward place just because the power cable did not reach. It does POE in and out, so you could power the unit with a wireless CPE POE if you were a WISP running UBNT gear. This would save on a power plug because you would only need one for your outdoor radio and the airCube. However, if you are deploying these with non-UBNT gear, or simply in a home with fiber or cable the small power plug makes for a neat and compact installation. Setup was easy, minus the documentation issue on the app to get. This is probably simply the app being updated for whatever reason and the documentation that came with my Cube being behind. Look for part two coming soon.